WHAT ARE YOU DOING VENKATESH? IF YOU WANT TO BECOEM A DSP, YOU AN SHOOT LEISURELY AFETR JOINING THE EPARTMENT. Sir, fist i thank u for replying to me because its not very easy task what you'r doing now in POLICE department . Im proud to say that my blood is a POLICE blood you know why? im saing like this. My father also work in this same department as Head constable of POLICE and my father retired recently 31 -JANUARY - 2010 after he retired he get the Sub-inspector promotion on March 2010 till my father retired that means nearly 25 years we stay in Taluk POLICE quarters situated in East shanmuga puram colony villupuram at the back of the villupuram Taluk POLICE station and i think you know this place very well when you was working in villupuram as nort zone D.I.G of POLICE. from this itself you can judge my father sincere and obedient working in POLICE department my role model is Shankar Sub- Inspector of POLICE when im child hood he stay in my quarters only when come out with his bike all the roudies will get scared and ranaway now also workin i think 2009 he was Inspector in valavanur POLICE station and another role model is you sir. I have one elder brother he finished his B.E.Mechanical engineering and he also trying to get job in POLICE department thank GOD that he attend the Sub-Inspector exam held 2010 which he passed in first level of written exam and the result came on 30 july 2010. Im praying to god that my brother must passed in Medical and Interview sucessfully. we can make your dream of joining rifle club happen . once you are back in chennai, kindly ley me know. but i must tell you that getting a job in india is difficult, and hence you must think twice before leaving teh the present job. you must also improve your englisg language writing. your letter is full of grammer errors. Thank you for going to make my rifle joining dream real .How can i put in to you'r knowledge after i reach india.Any contacts about you sir. 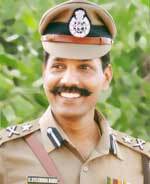 Sir you think that " I TOO CAN BECOME AN IPS OFFICER "
OR YOU MAY CONTACT MY OFFICE 230250-044. Surely sir after come to India i will start my IPS preparation at the same time i need ur guidance. Thank you for giving the contact no. soon i will come and meet you sir. Please help me to join in rifle club sir it will be thanful to you.